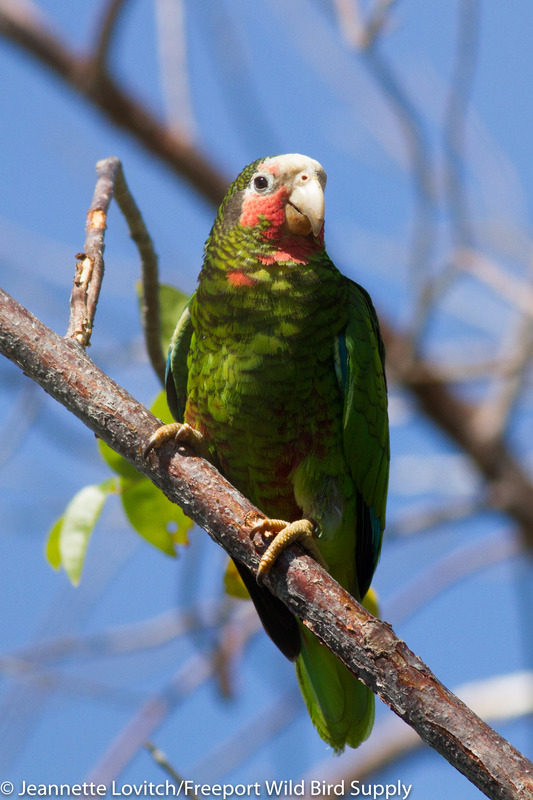 Endemic Cayman Brac subspecies of the Cuban Parrot. Jeannette and I spent our winter vacation this year in the Cayman Islands. 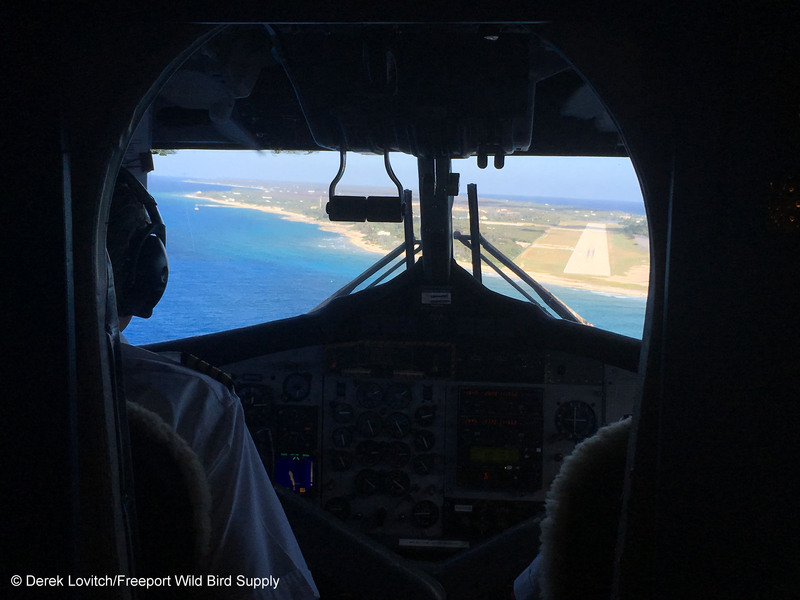 Spending a week from February 23rd to March 1st, we continued to foster our love for island biogeography and our pursuit of island endemic birds. 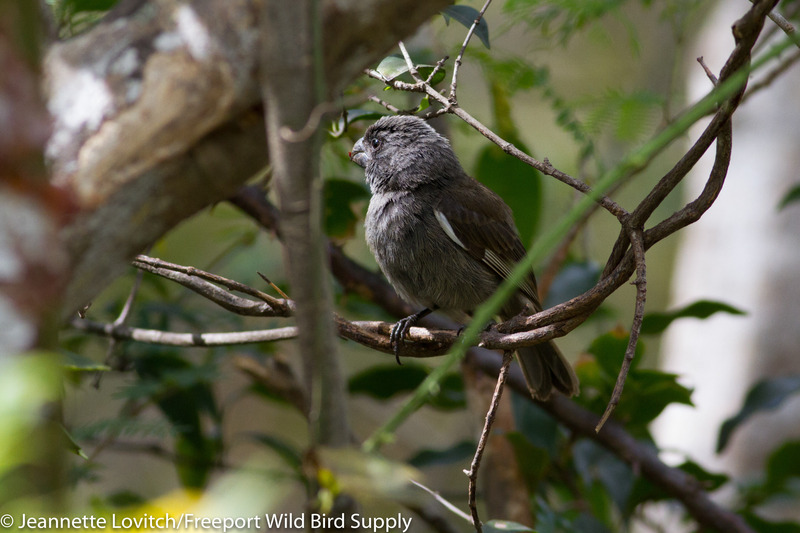 The Caymans don’t have a lot of endemic (or near-endemic) bird species, but it does have plenty of endemic subspecies. And while these might not be “countable” on some published list, they’re just as fascinating to us. 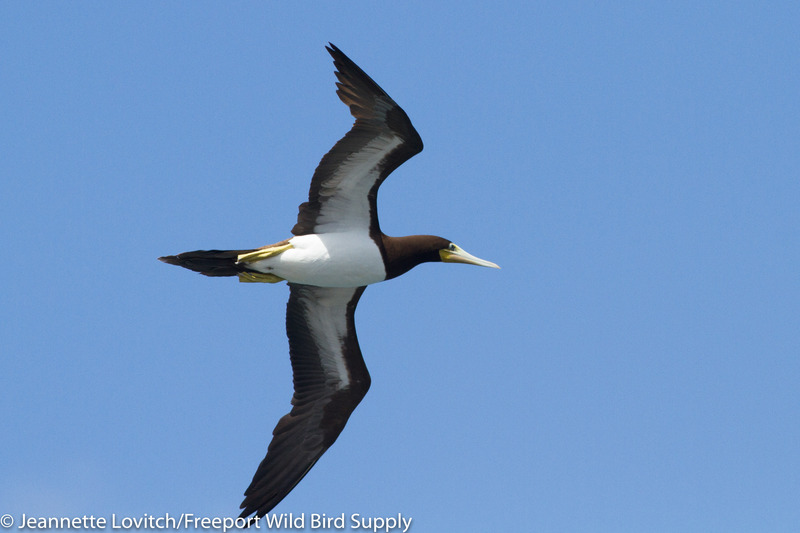 We didn’t have a lot of time for our trip this winter, so we wanted to visit an island where the relatively-limited amount of “target birds” would give us plenty of time to enjoy the other finer things of island life: food, snorkeling, and perhaps even a little R&R! 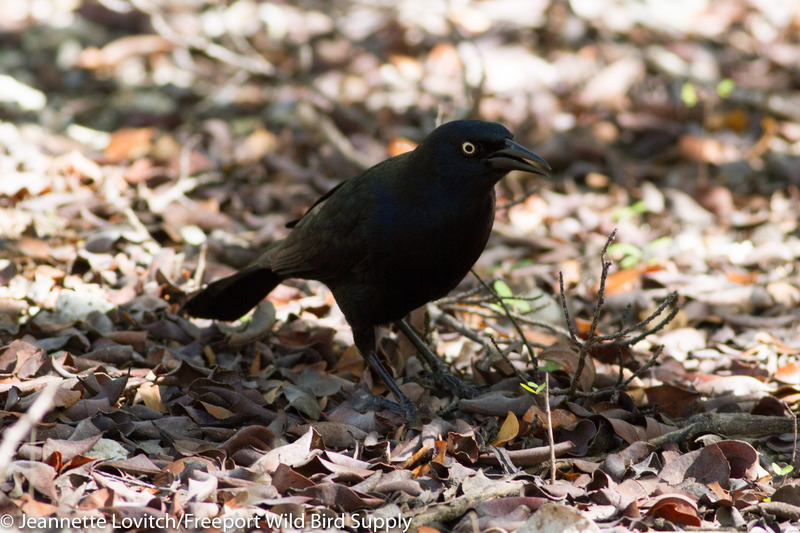 We arrived around lunchtime on the 23rd, and were immediately greeted by the endemic subspecies of Greater Antillean Grackle, as well as Northern Mockingbirds and Smooth-billed Anis. 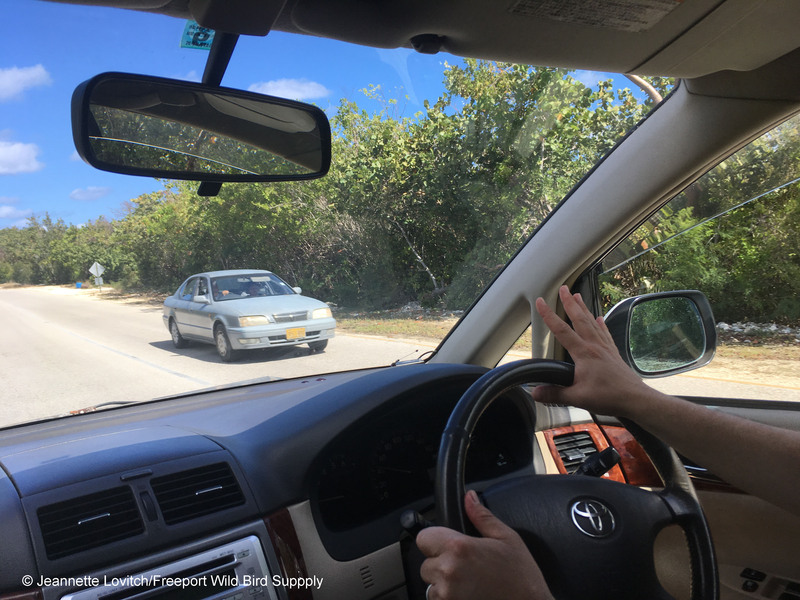 For cost-effectiveness, we stayed away from the famous 7-Mile Beach (which, by the way, is actually only about 5.5 miles long), but with a 1.5 mile walk, a free shuttle, or a quick taxi, we would be right in the thick of things. 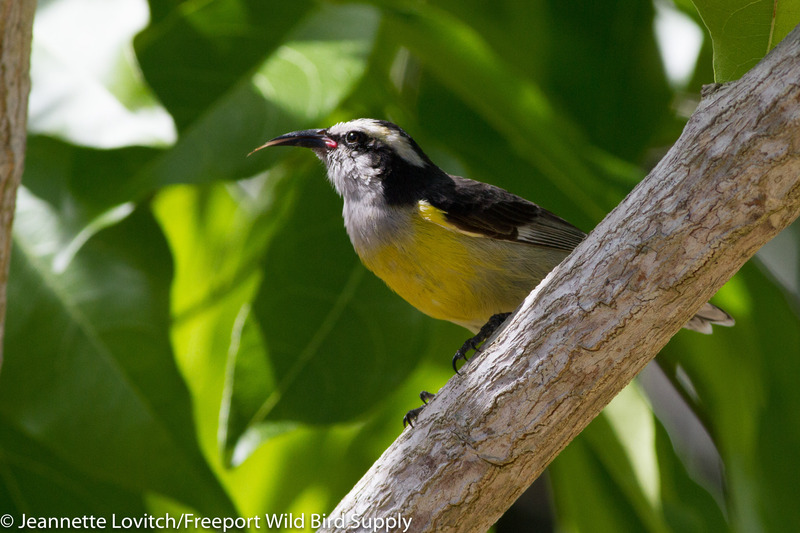 Bananaquits – one of our favorite birds in the world – were common in the plantings in and around the hotel (and most everywhere else in the Caribbean) and they could keep us entertained for hours. On our first morning, we decided to do a little exploring, taking the public mini-bus away from the touristy areas and along the south shore past Boddentown. We got dropped off at a spot on the map labeled “Meager Bay Wildlife Sanctuary” and just started walking. 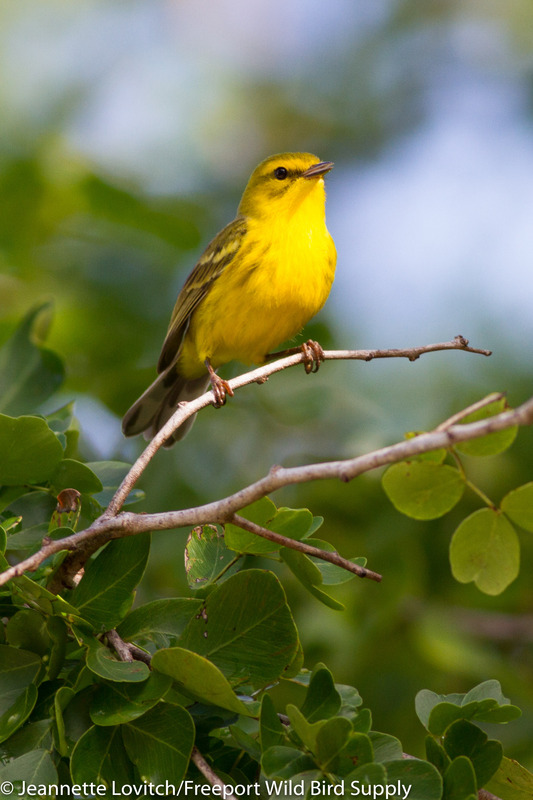 While it turned out there were no trails in the sanctuary, walking a dirt road on its eastern species here, such as LaSagra’s Flycatcher, our lifer Yellow-faced Grassquits, Common Ground-Doves, and especially “Golden” Yellow Warblers. 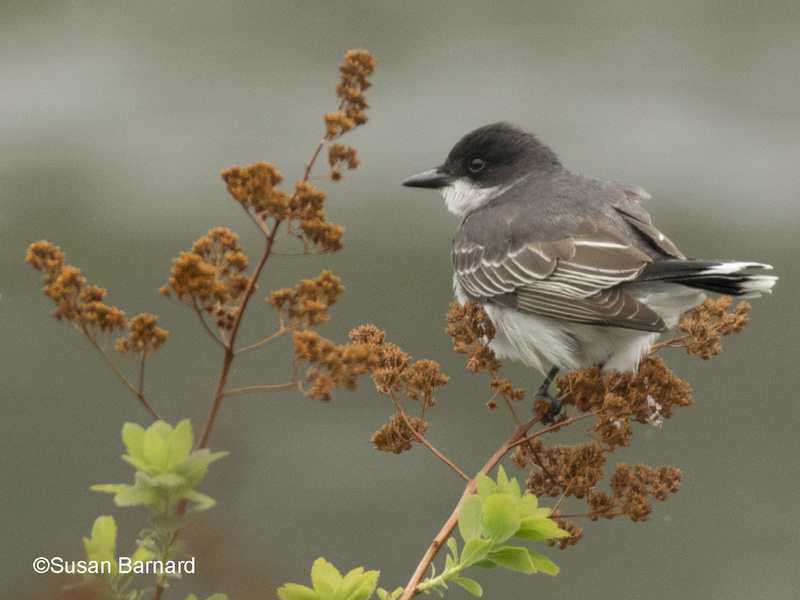 Migrants from North America, led by Yellow-rumped and Palm Warblers, also included the likes of Gray Catbirds, Northern Waterthrushes, a single Belted Kingfisher, and a couple of Yellow-throated Warblers. 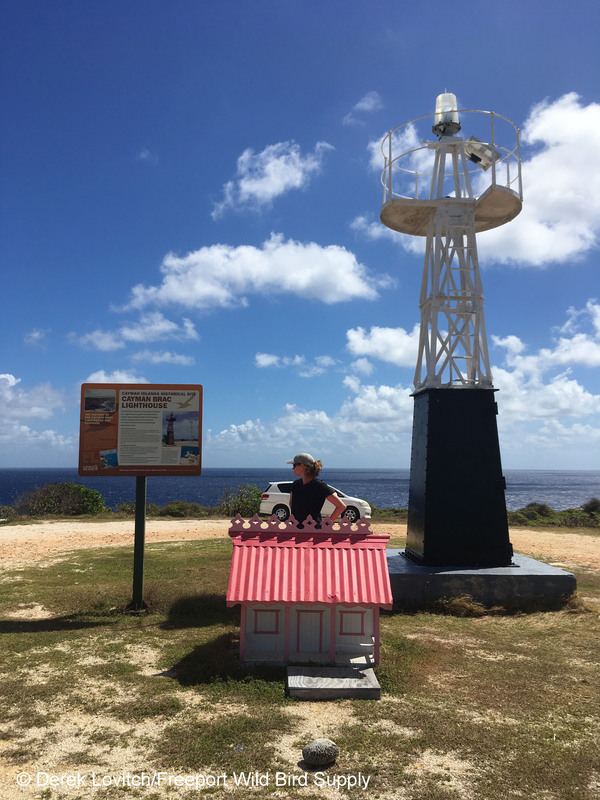 Walking back towards Boddentown, we found a dilapidated viewing platform which overlooked the mangrove bay, and with it, our list grew considerably! 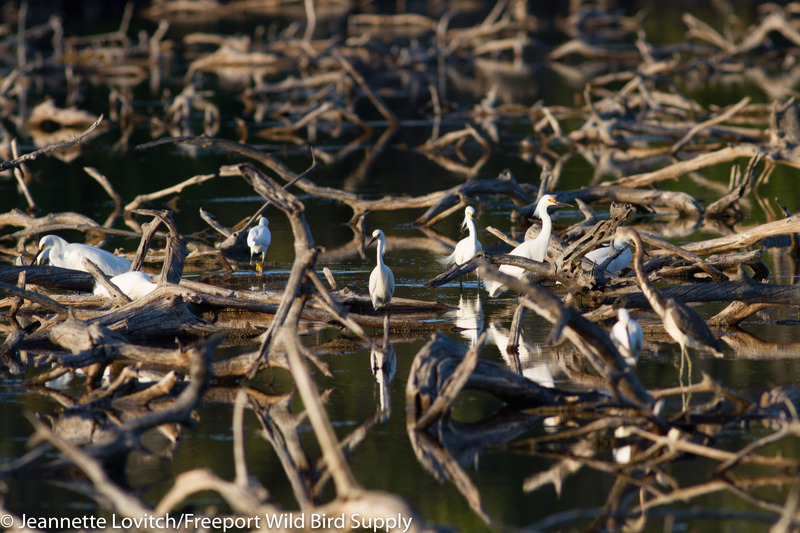 Lots of ubiquitous Black-necked Stilts were joined by Lesser and Greater Yellowlegs, scattered Pied-billed Grebes, a flock of Blue-winged Teal, and much more. Unusually heavy and persistent rain (it was the dry season, after all) plagued the western end of the island all day, so we were lucky to only encounter a few showers and a couple of brief downpours on our walk. Afternoon beach or snorkeling time was washed out, however; but we did relax with some Winter Olympics on the television as palm trees whipped in the wind outside our window. 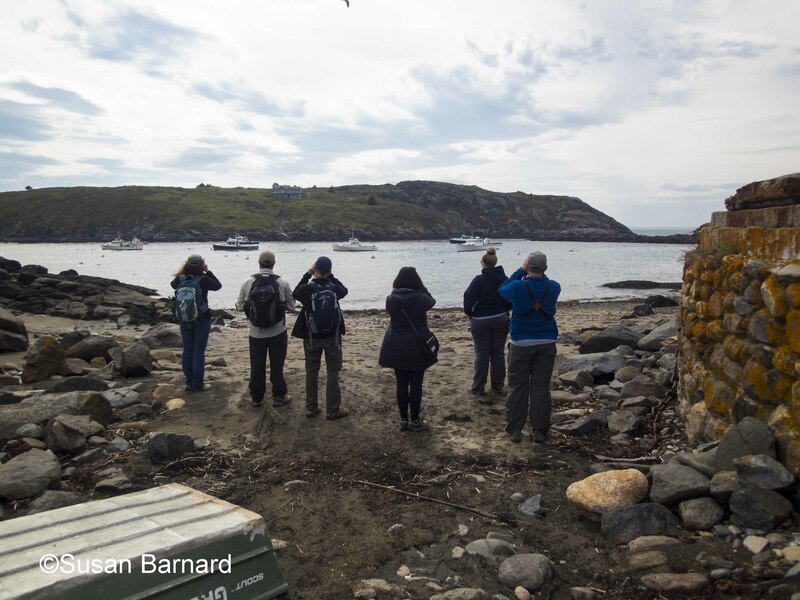 Day 3 was our big birding day, as we were to be picked up by the island’s only birding guide: Geddes Hislop of Silver Thatch Excursions. 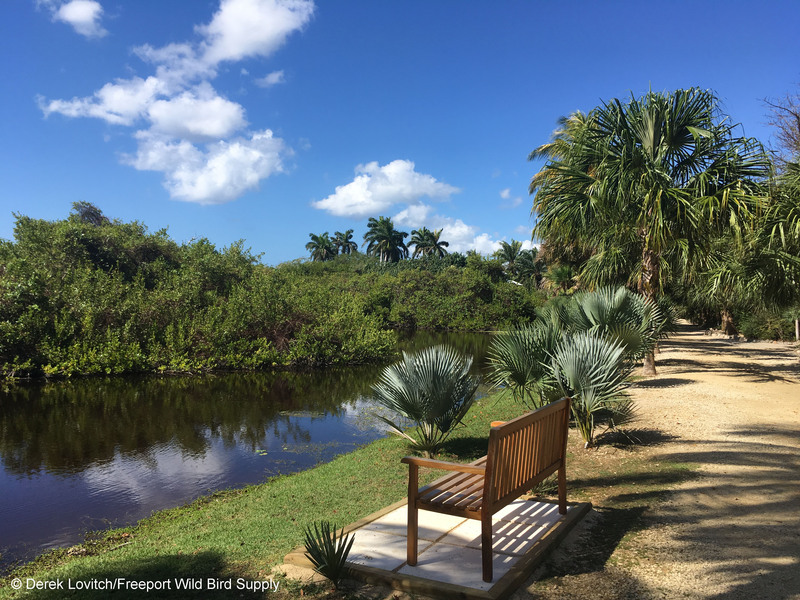 While most birds are fairly “easy” on Grand Cayman, we always hire a local guide for at least some part of our trip to learn the sites, learn about the birds, and learn about as much of everything about a place as we can! 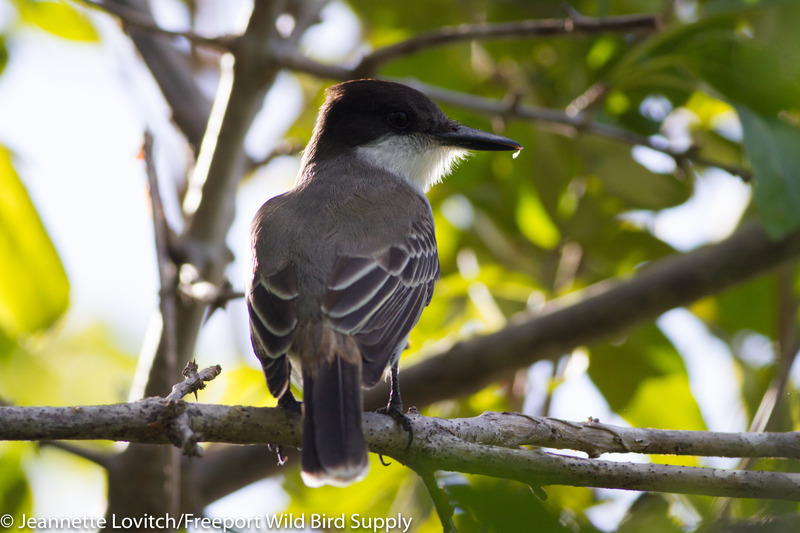 We stopped at Pedro St. James Historic Site where we saw our first Loggerhead Kingbirds of the trip (endemic subspecies), and some very-surprisingly-early displaying White-tailed Tropicbirds. 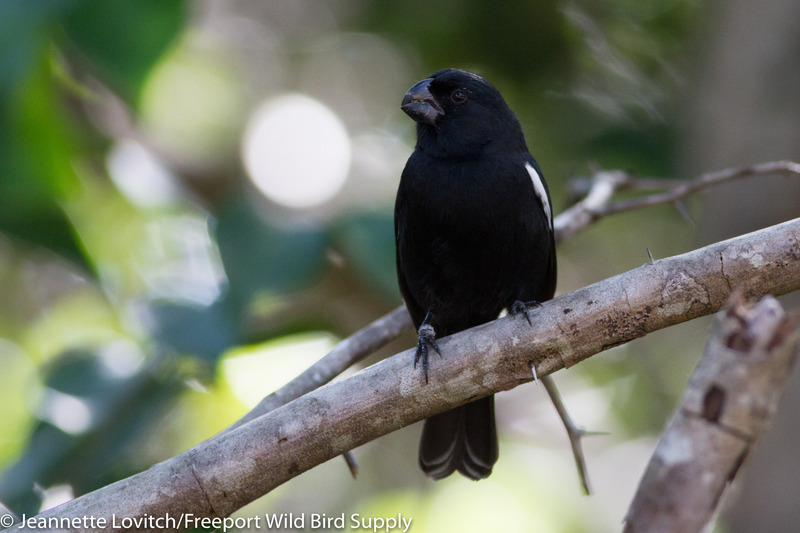 …and Taylor’s (or Grand Cayman) Bullfinch (or, depending on the authority, the endemic subspecies of Cuban Bullfinch. 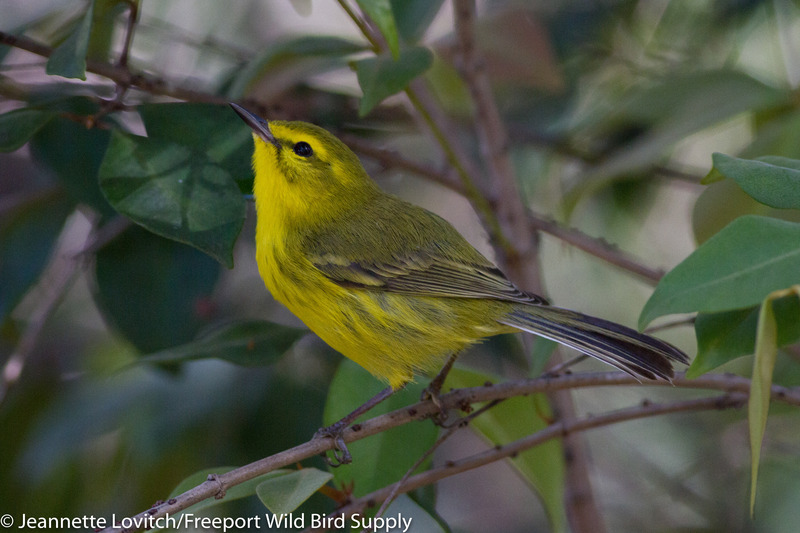 Like the Vitelline Warbler, they were stunningly cooperative. 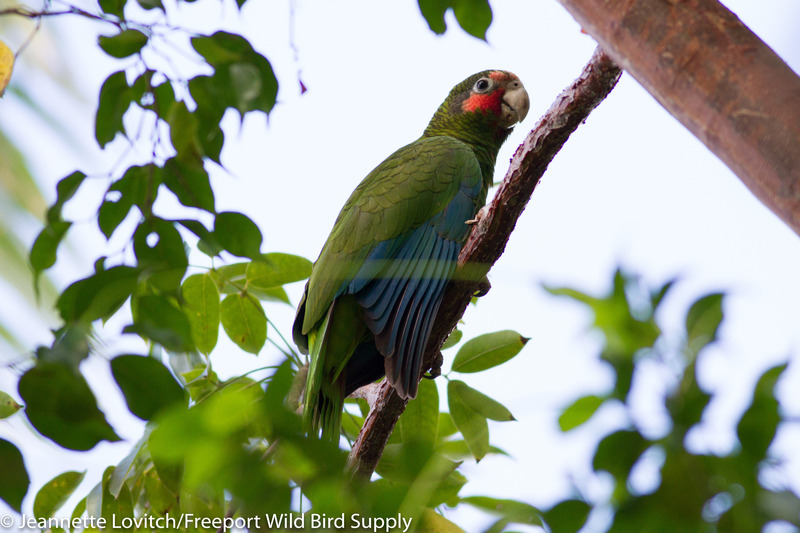 Geddes’s access to private property produced our best views we would have of Grand Cayman subspecies of the Cuban Parrot, before we worked our way around a few freshwater habitats (certainly at a premium on a limestone/coral atoll). 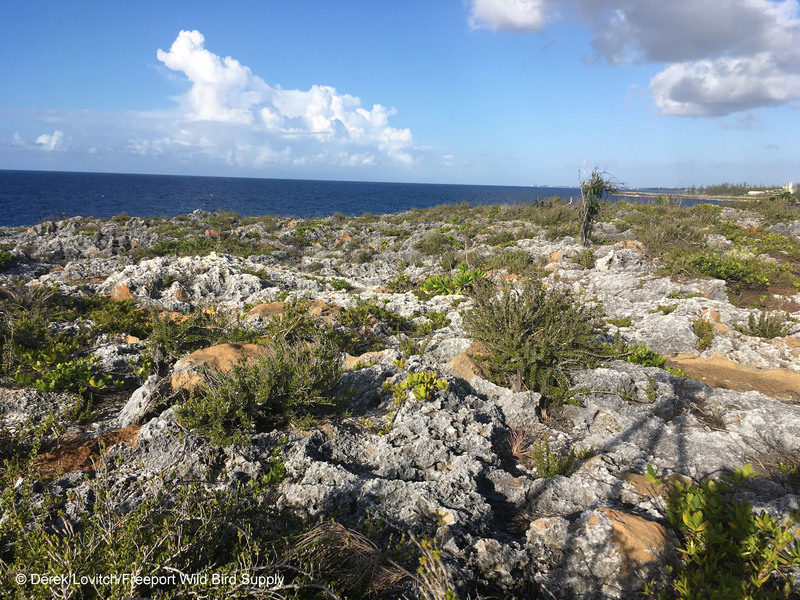 The island’s only virgin forest, within the North Coast Ridge, was amazingly productive, with oodles more Vitellines and bullfinches, but also the endemic subspecies of Thick-billed Vireo, the endemic subspecies of Yucatan Vireo (also a lifer for us), and a heard-only lifer Caribbean Dove. 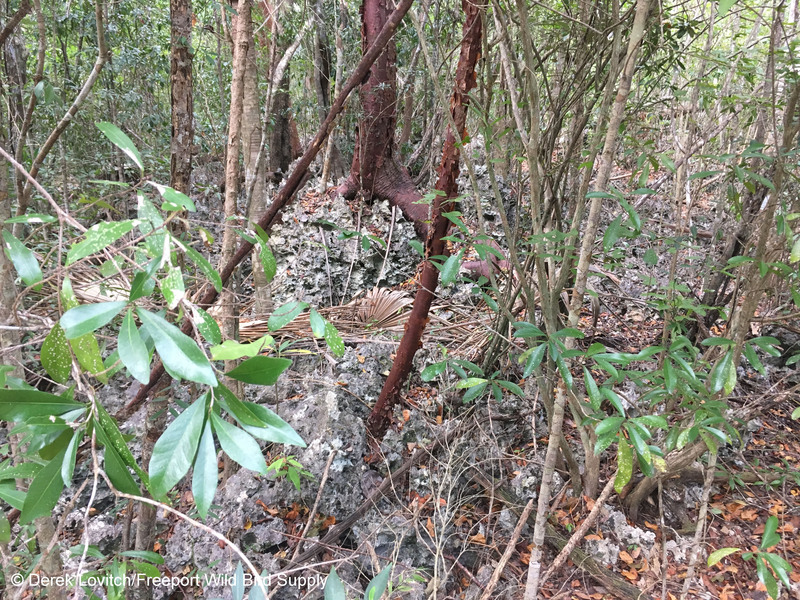 Given the terrain, going off the road in pursuit of this secretive ground dove did not seem wise, and so we decided to leave uninjured and just enjoy the fact that we heard one – a bird that seems to be on the rapid decline here. 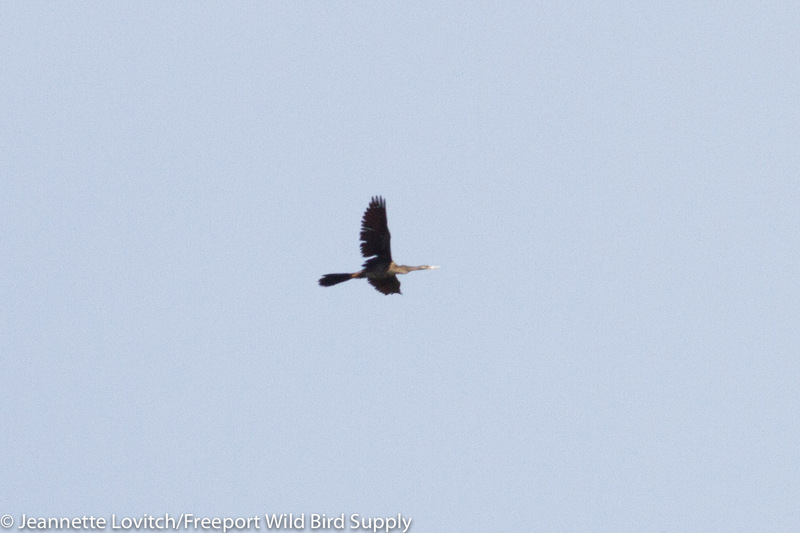 We had spotted an Anhinga yesterday from the viewing platform at Meager Bay, a real rarity according to Geddes. So we returned on our way back to see if it was still around. It was – as were 2 more! 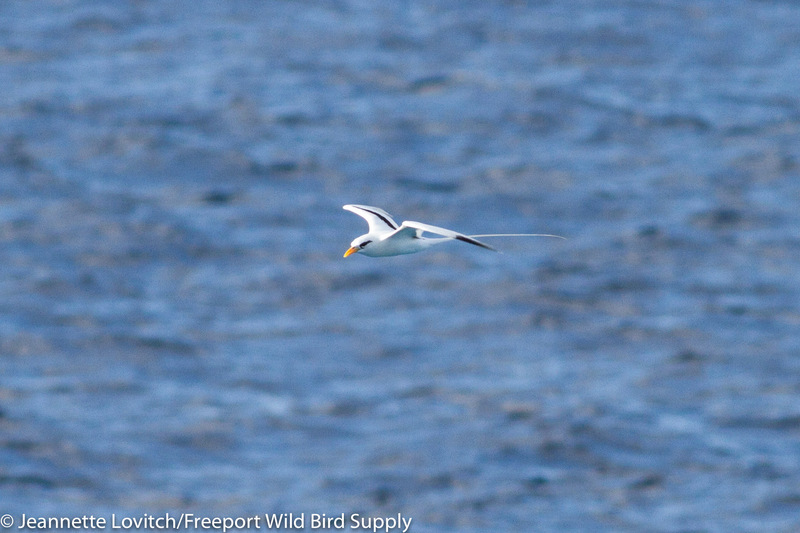 Here’s a distant “doc shot” of one of them. 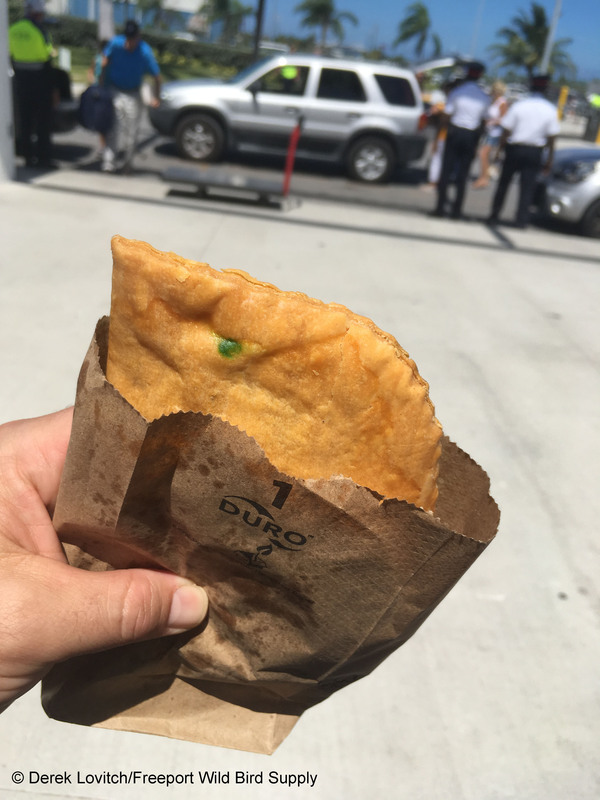 We also twitched some Trinidadian doubles for lunch – one of our favorite foodstuffs before returning back to our hotel. 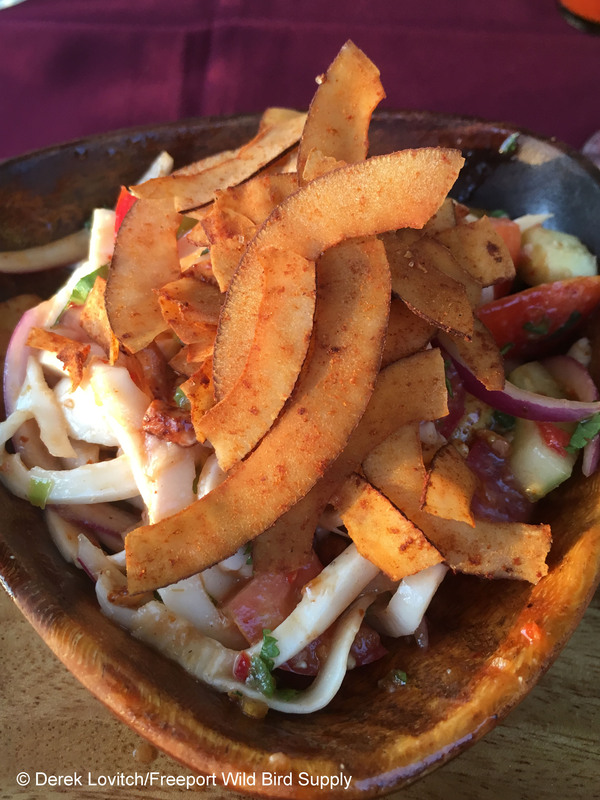 There was a lot of really good food on the island, but by far our best meal of the trip was our dinner visit to Vivo in West Bay. Once again, we took the bus for an inexpensive ride out of the tourist Mecca, and walked over a mile to get to this hidden gem. 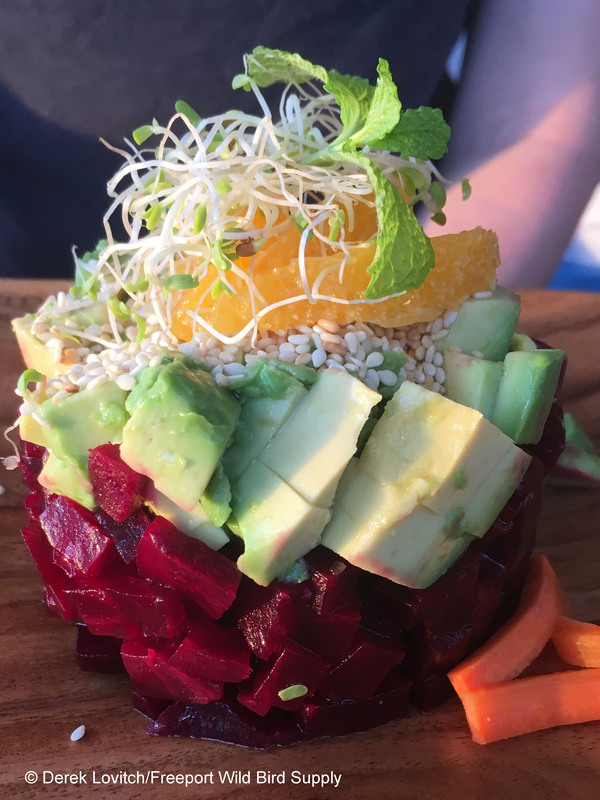 A vegan and vegetarian restaurant that serves Red Lionfish – an invasive species that is destroying the reefs of the Caribbean? Yes please! 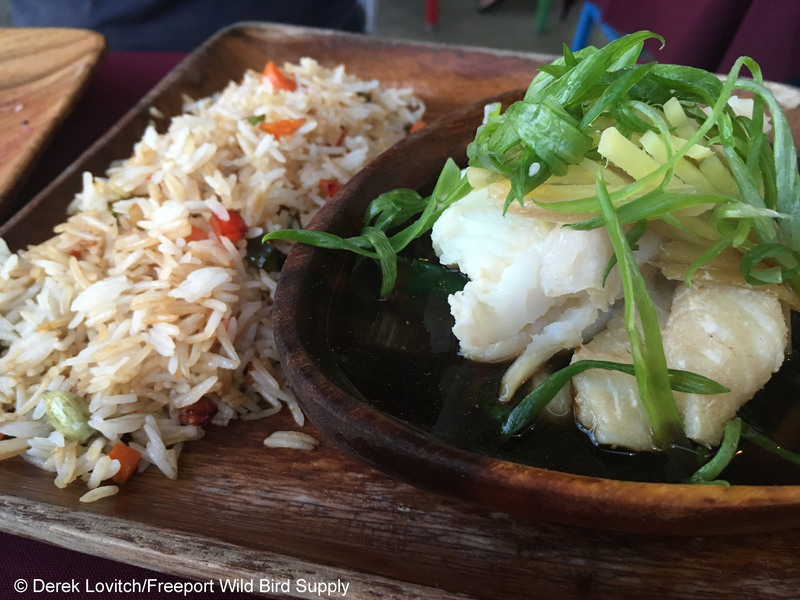 I wanted to do more part by eating as much lionfish as I could get my hands on, as there’s nothing more sustainable than eating a local invasive species. 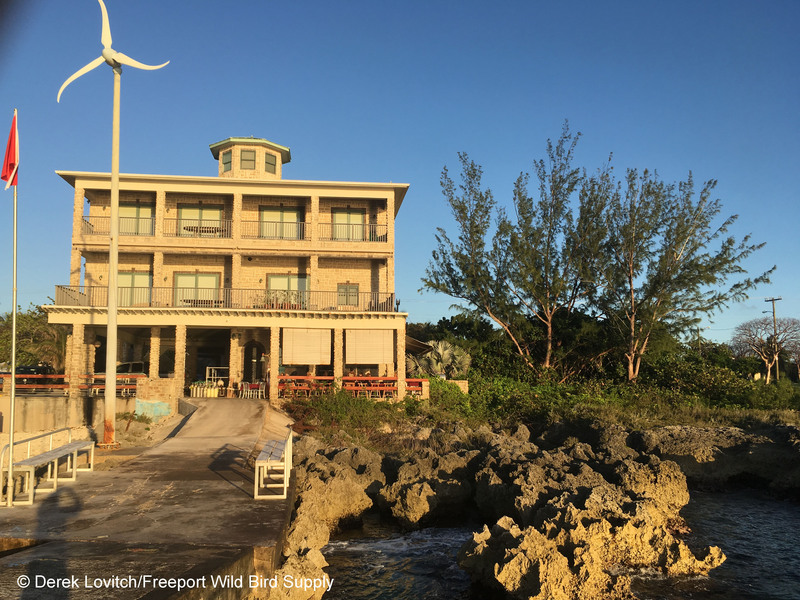 Thanks to an intense and coordinated effort by the government of the Caymans, including persuading chefs to feature it, we learned that they are really making a difference with controlling this destructive fish. 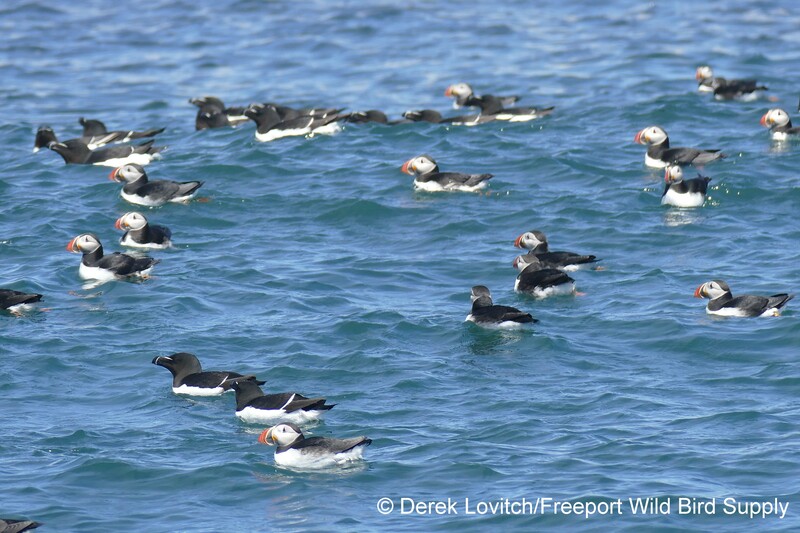 It just goes to show you: humans can overfish anything! 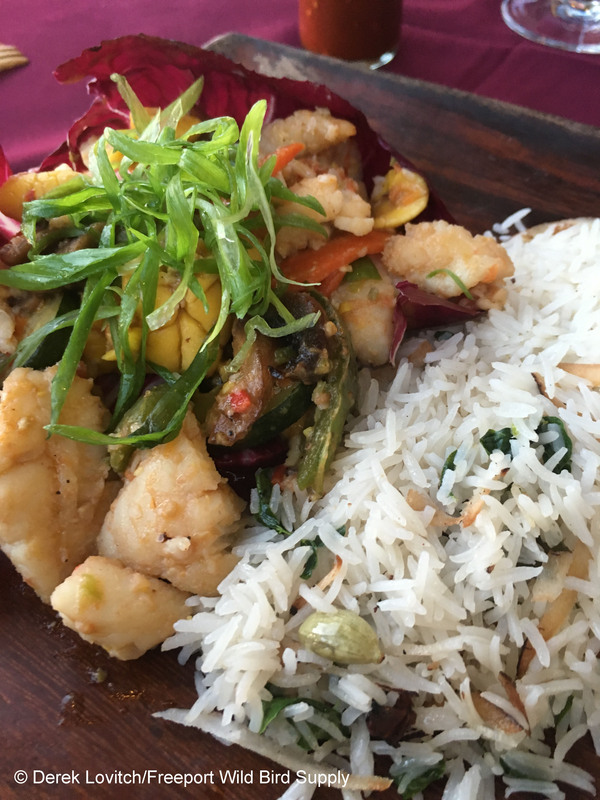 My stir-fried lionfish with local veggies and achee, and Jeannette’s poached lionfish with Asian-style broth meant there were at least two less Lionfish raving the ecology of the Caymans. It was also darn tasty, too. And the views were pretty tasty, too. 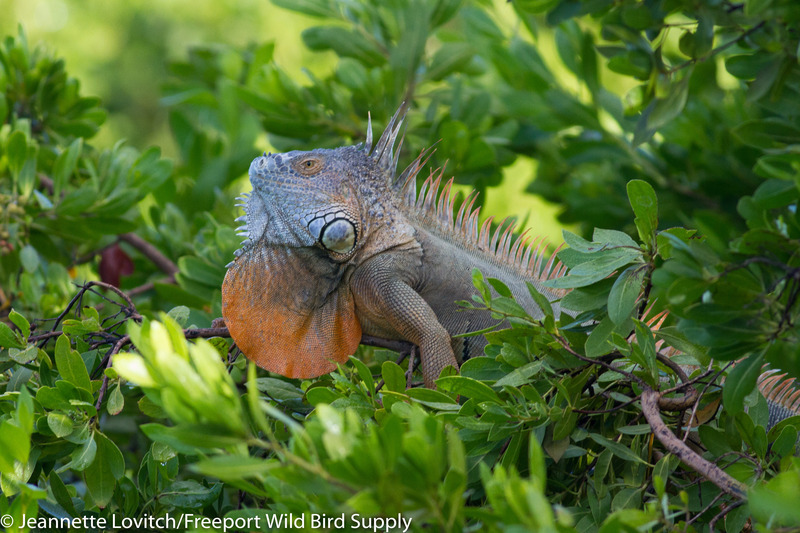 Hmm..based on the success of promoting lionfish hunting and eating, perhaps the invasive Green Iguanas that are eating everything on land could be next? We were back on the buses the next morning (I mean, come on, for between $2.50 and $4.50 per person we could go just about anywhere! Sure beats a rental car…let alone driving on the “wrong side” through those chaotic George Town rotaries! ), making a second visit to the Botanic Park. 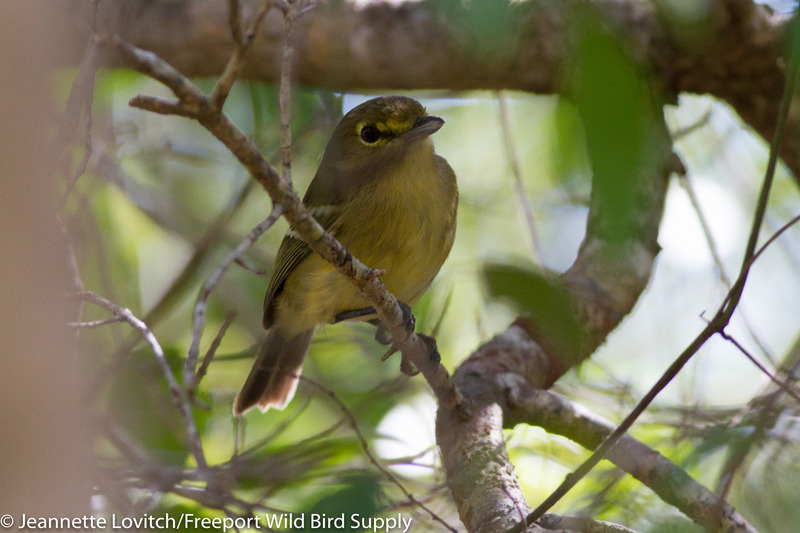 We had only missed two species with Geddes, Western Spindalis and West Indian Woodpecker – both of which are endemic subspecies, and we had a few photos to improve upon. 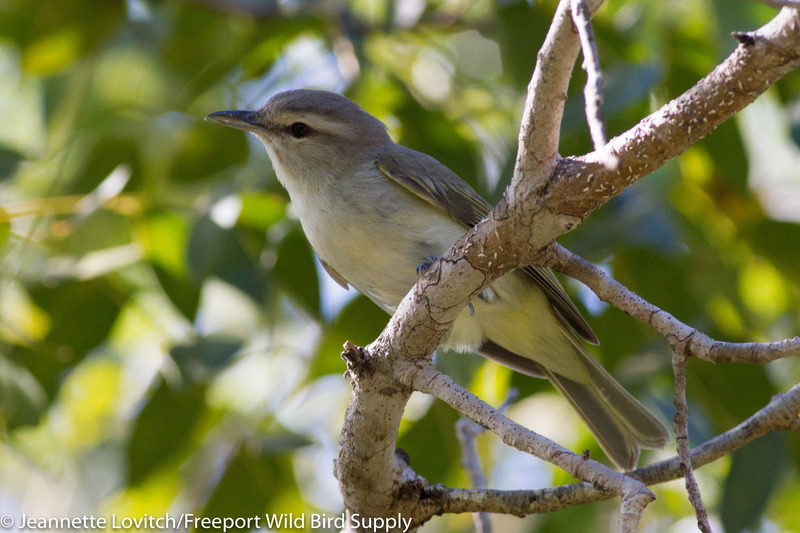 Although we didn’t find the tanager or the woodpecker, Jeannette got some great photos of Yucatan Vireo, and others. 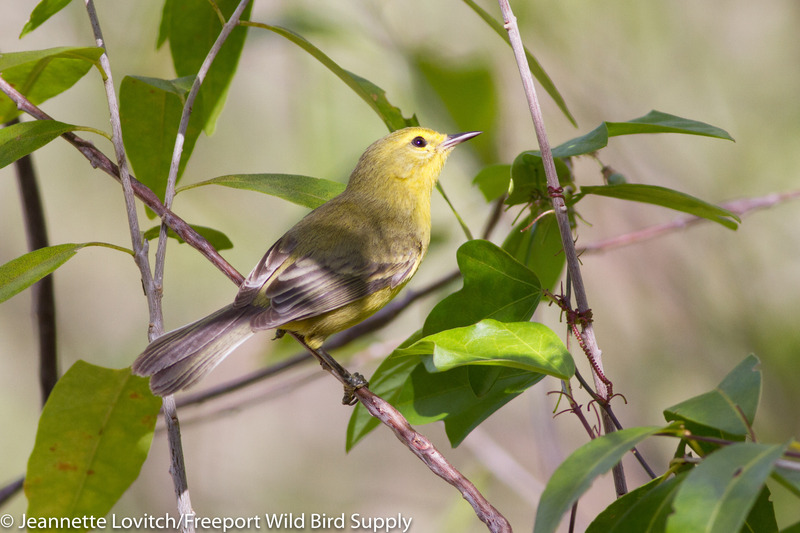 And we added more migrants to our triplist, including Worm-eating Warbler, Ovenbirds, and Prairie Warbler. 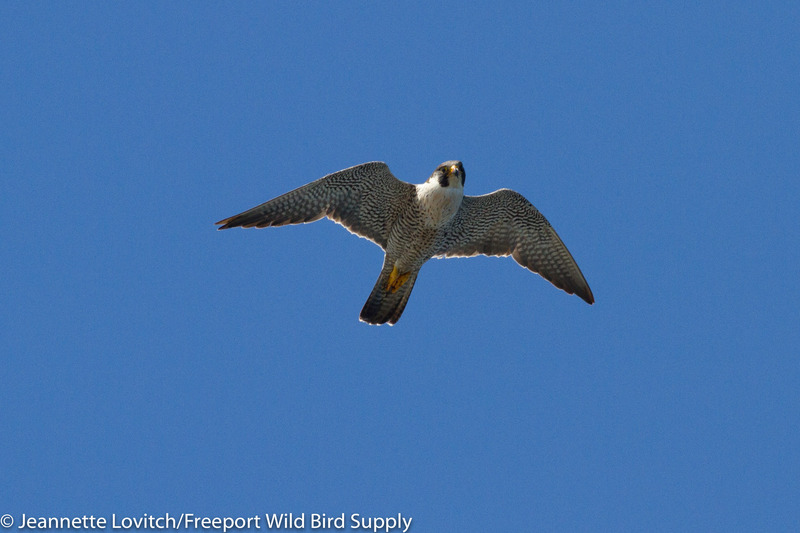 We also enjoyed a few more “Grand Cayman” Parrots, but none of the views were nearly as good as the day before. Following a bus ride and a long walk back to our hotel, we hopped in a cab back to the airport. 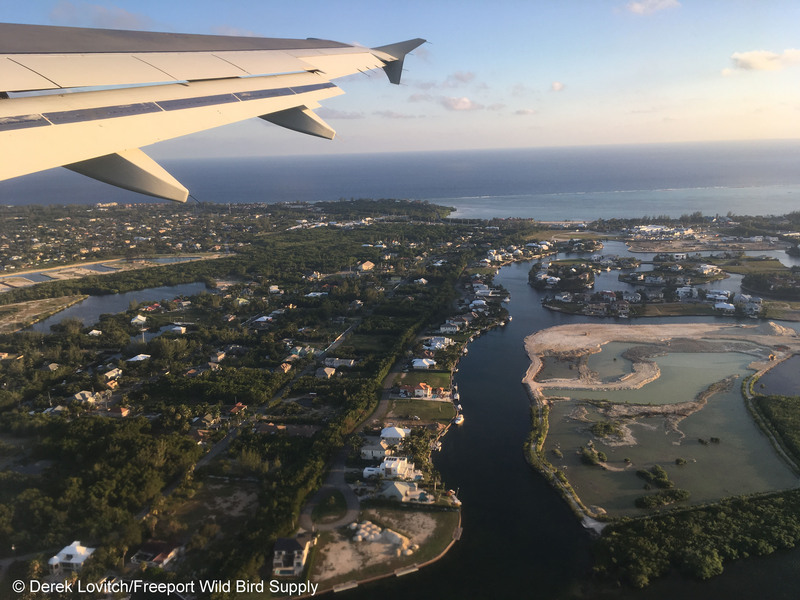 We got to see Little Cayman as our plane touched down, but after just a few minutes, our puddle jumper made the 10-minute jump over to Cayman Brac, one of the “quiet” islands where we would spend the next two days. 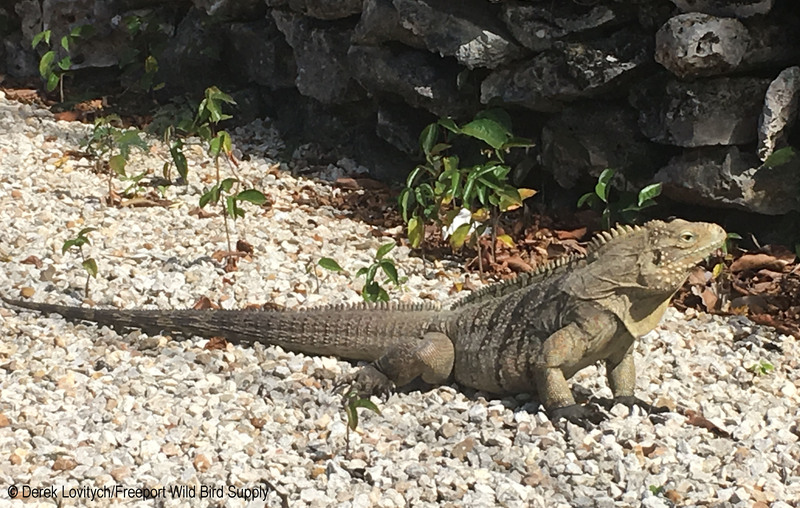 No lifers were to be expected, but we did have three more endemic subspecies to track down – subspecies found only here, or here and Little Cayman. 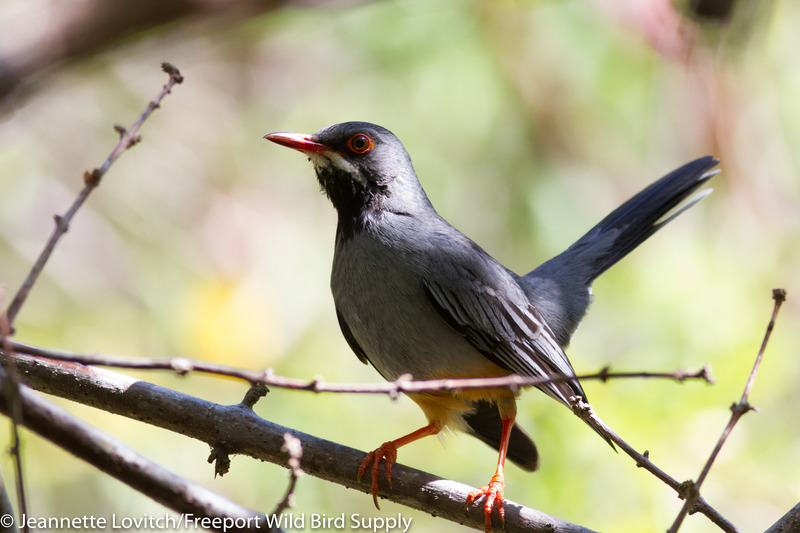 While checking out the mangrove pond across the street from our room, the first of those put in an appearance: Red-legged Thrush. 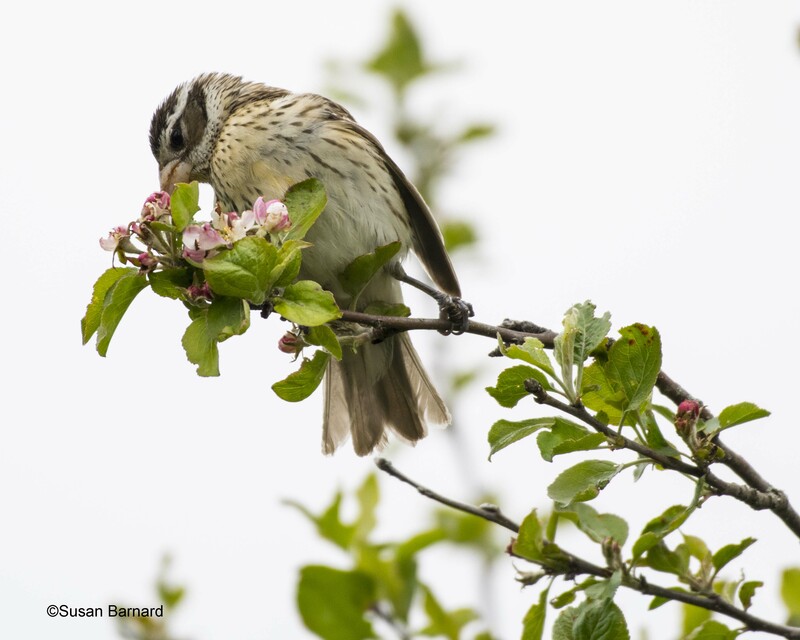 Unfortunately, the related Grand Cayman Thrush was considered a full species, but has been declared extinct since at least the mid 1940’s, due to deforestation, hurricane damage, and collecting. We began again across the street, where this wetland proved to be one of our best birding locales of the trip. 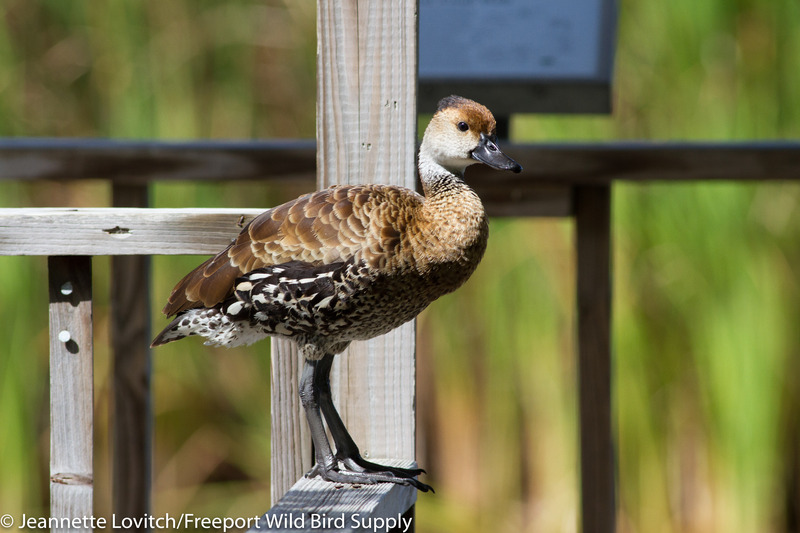 We quickly picked up some more West Indian Whistling-Ducks while waiting for our car to be delivered. Then, it was off to the parrot reserve and interior forest. 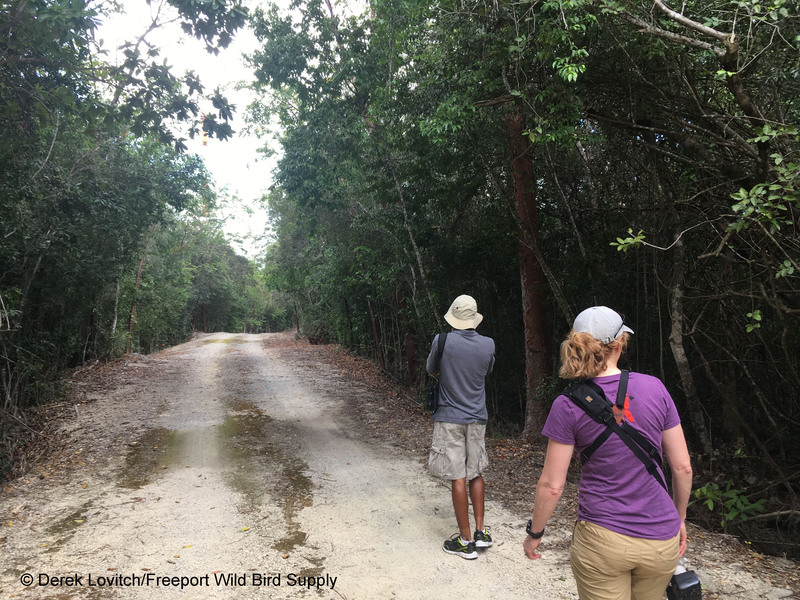 The Brac subspecies of Vitelline Warbler was almost as abundant as the nominate subspecies was on Grand Cayman, and in short while we spotted several “Cayman Brac” Cuban Parrots. 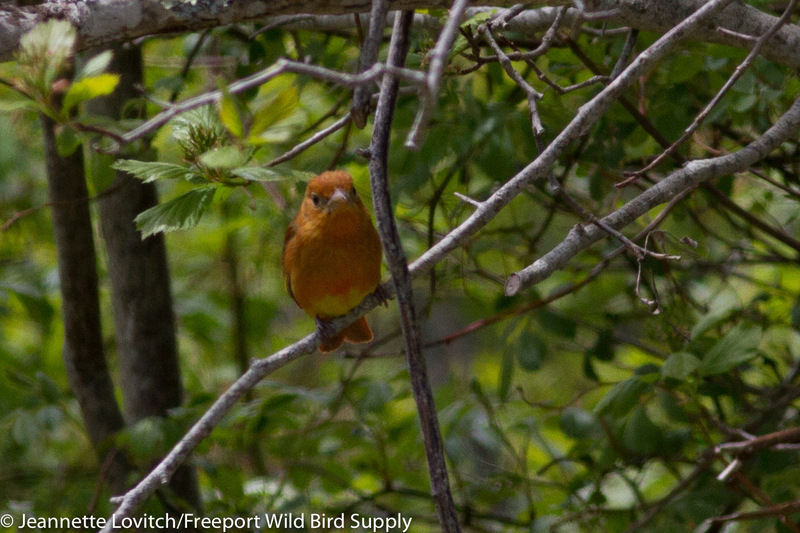 We flushed a Barn Owl – likely one that was roosting in a limestone cave or sinkhole – which paused briefly on an open limb, and we got better views of Red-legged Thrush. 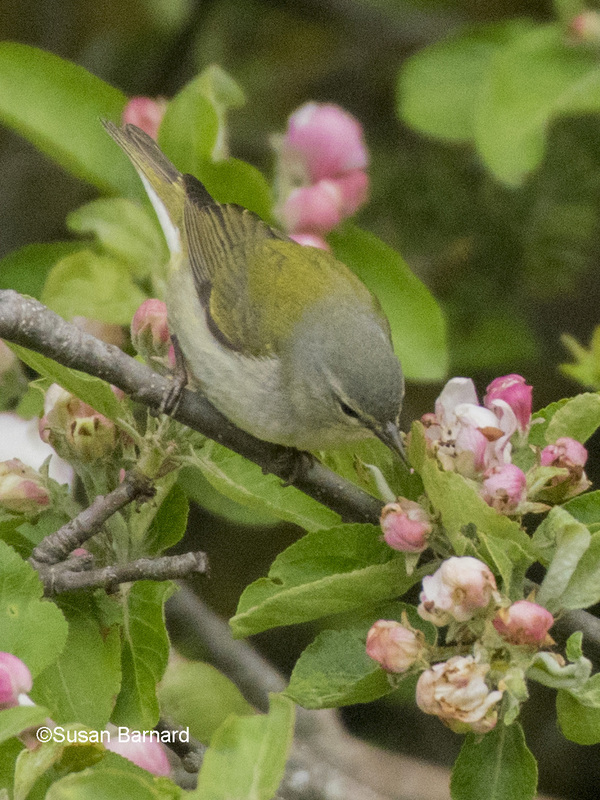 Thick-billed Vireos and a variety of North American migrants were also commonplace. 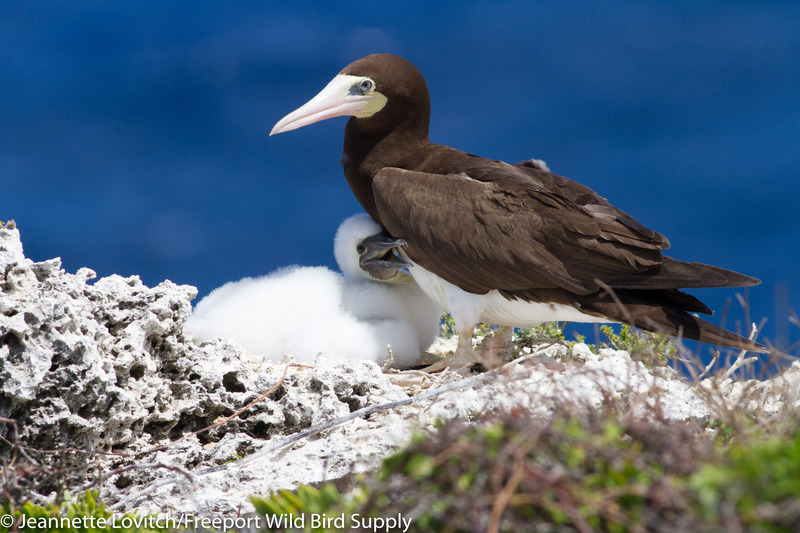 At Lighthouse Bluff, the highest point in the Caymans at 140 feet above sea level, we were delighted with Brown Boobies wheeling around the updrafts, and several birds on nests along the bluff-side trail. Pat’s Kitchen was a very welcome lunch stop, serving delicious local goodness, including “Bake Beef,” roasted Cayman-style and from a cow raised just down the road (possibility acting as a lawnmower in someone’s yard). In the afternoon, we snorkeled – finally! – encountering Eagle Rays, Tarpon, and at least one uncomfortably-inquisitive Barracuda, right outside our abode. 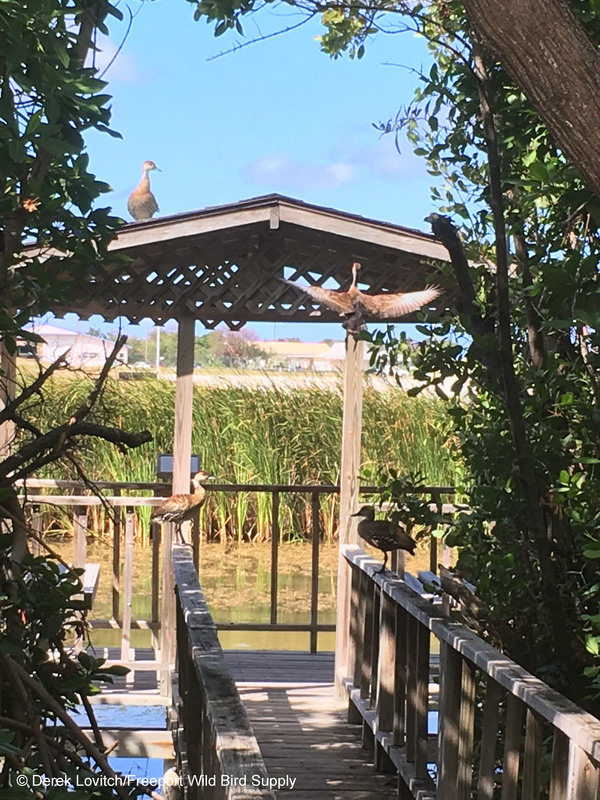 And then it was back to our “hotel pond,” where we added Short-billed Dowitcher (definitively; we had one in the distance at Grand Cayman), and among them, at least one Long-billed Dowitcher. Even with a scope, most of the dowitchers here were too far away to identify. 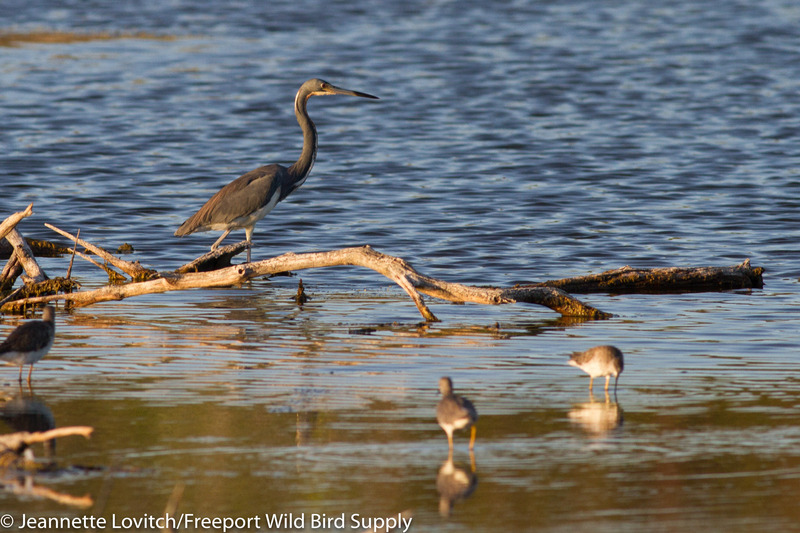 The Tricolored Heron show was also particularly entertaining. 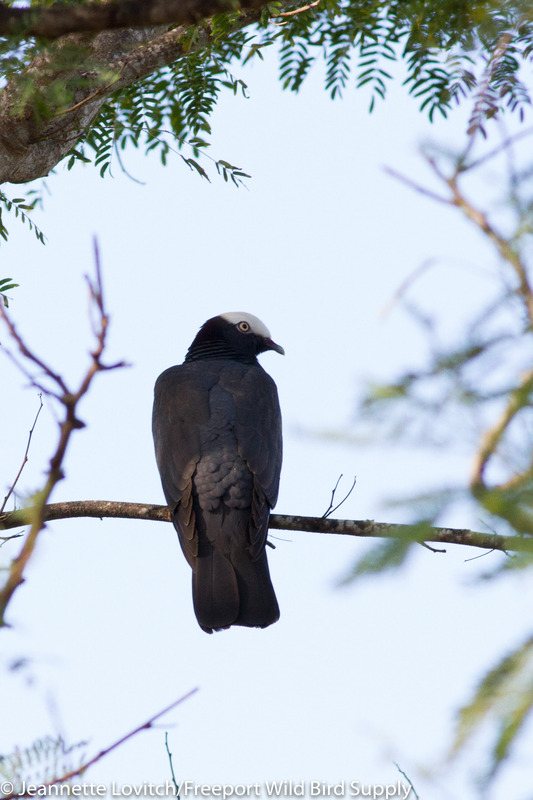 The next morning, we got an earlier start and walked the nature trail in the Parrot Reserve once again, getting great looks at more Red-legged Thrushes, Thick-billed Vireos and Loggerhead Kingbirds. 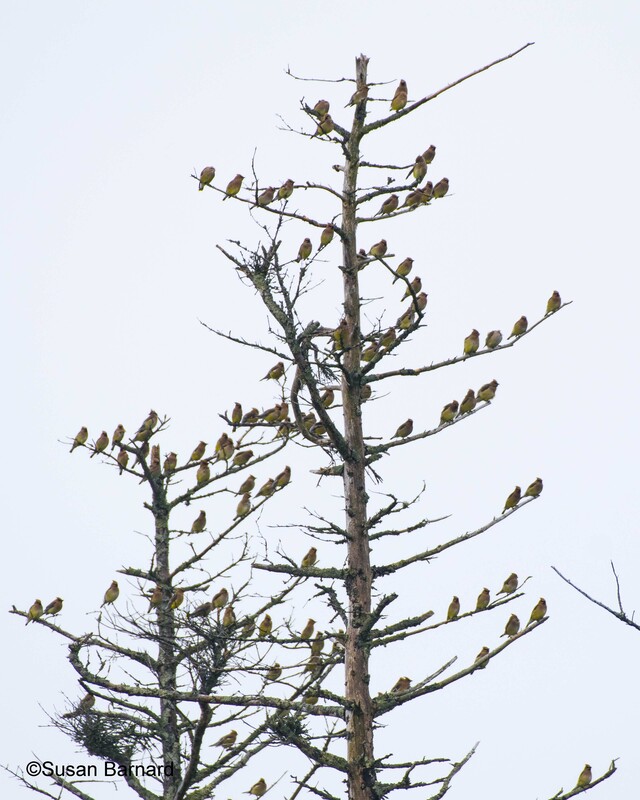 We realized how lucky we were yesterday, however, as today the parrots did not show themselves well. Snorkeling in the sheltered “kiddie pool” at the park for the wreck of the M/V Tibbets was extremely relaxing, easy, and the brilliant rainbow-glistening cuttlefish that wandered by was more than worth the effort. After refueling at Pat’s Kitchen once again, we explored some of the caves (no bats, sadly), and since this was a Lovitch vacation, we had to pay an obligatory visit to at least one landfill! 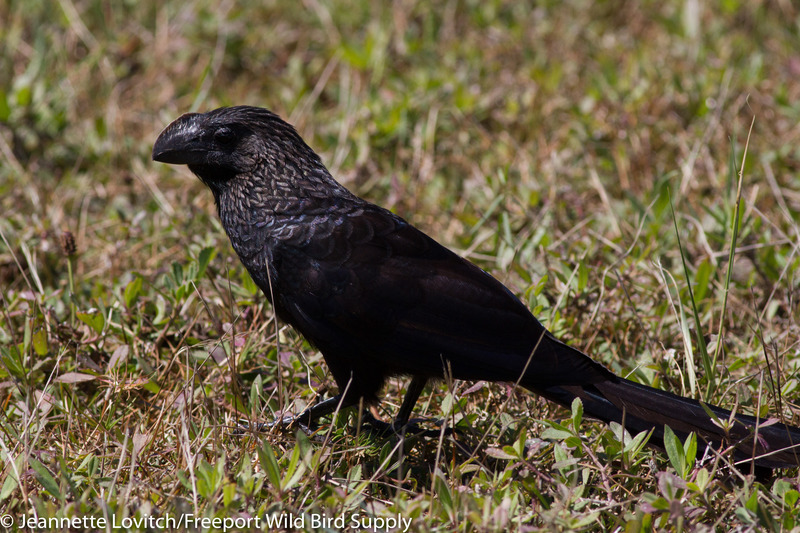 Just feral Red Junglefowl, a small group of Smooth-billed Anis, and scattered Northern Mockingbirds here, however. 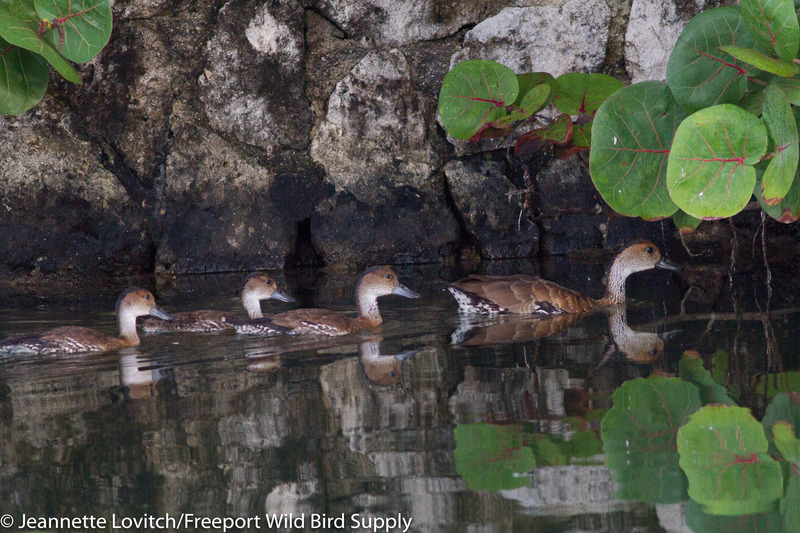 The “hotel pond” earned another check, and this time it was a total of 7 West Indian Whistling-Ducks that made the visit worthwhile, including this cooperative foursome. 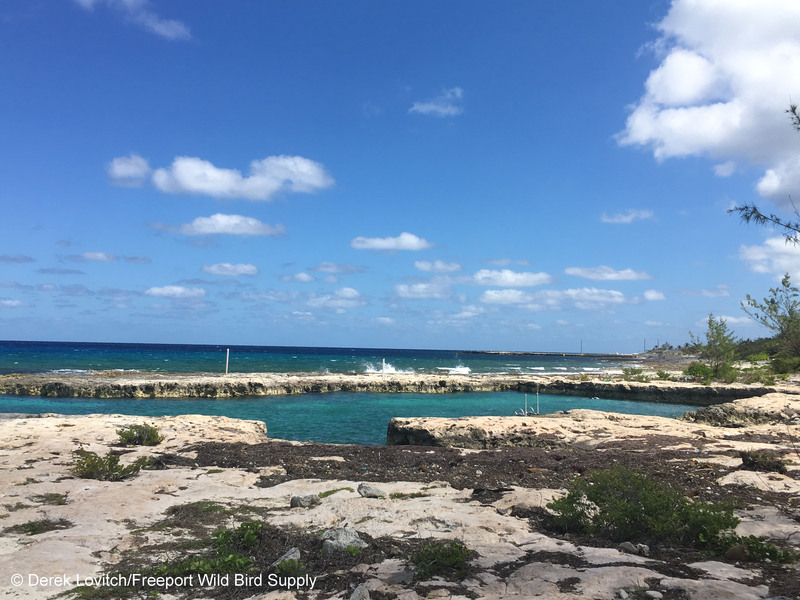 We definitely would have enjoyed a little more time on The Brac, but it was already time to begin the trek home, and so we were off to the airport for the short flight back to Grand Cayman. Calling Semipalmated Plovers on our walk home after dinner added to our list. On our last morning, we did contemplate giving it once last shot at Western Spindalis and West Indian Woodpecker by taking the bus to Botanic Park. However, we thought wiser of the journey and decided to play it safe and just go for a swim at the beach. Beating the crowds more than confirmed our decision! 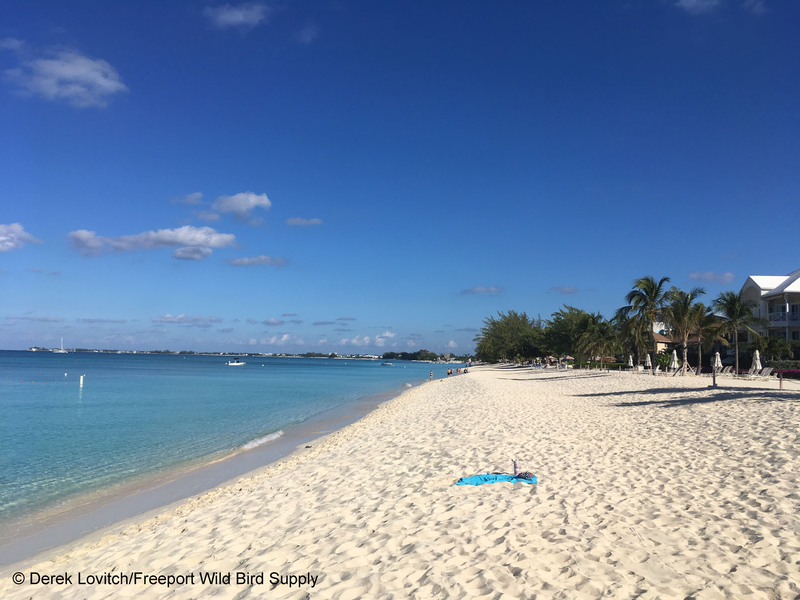 Geddes had mentioned there was the chance of West Indian Woodpecker anywhere on the island, but we didn’t think that included the beach! But I was in the water and Jeannette was reading in the sand when one flew in to the small public park nearby and began to call. We must have been quite the sight wandering through the parking lot in our bathing suits pointing into the trees! But we were rewarded with really great looks at the endemic subspecies of this Red-bellied-like woodpecker. 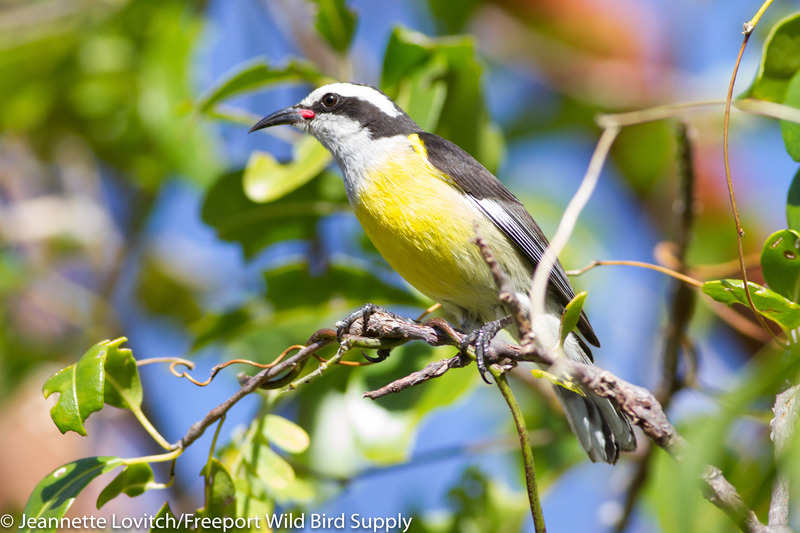 With our last hour, Jeannette worked the hotel grounds to improve upon photos of the grackle and Smooth-billed Ani, while I checked a few thickets for migrants and visited with our favorites, the Bananaquits. 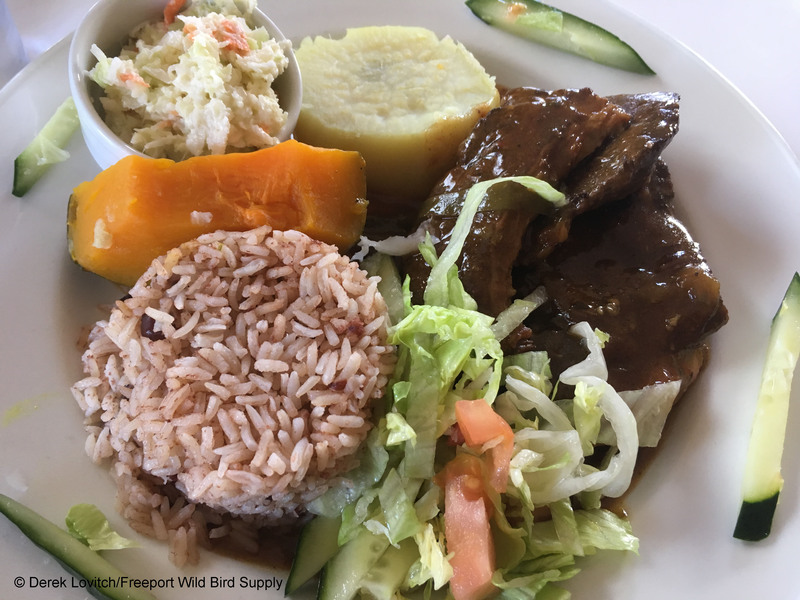 We cajoled our cab driver into stopping for Jamaican patties for lunch on our way to the airport, and with the week almost up, we were back at the tiny international airport. And sadly, this is where our real adventure began! A “mechanical issue” delay turned out to be a punctured tire, and the replacement had to be flown in. Over 4 hours later, we were finally on our way. We had long-since missed our connection home, so Charlotte, North Carolina was as far as we would make it today. Useless American Airlines couldn’t find us a hotel (or at least, one cheap enough for them to pay for it) so we booked our own. Now, to their credit, they did – upon our return – reimburse us for it. Unfortunately, this was the last time they would be anything less than terrible. After a twelve-species lap around the hotel (yay, Carolina Chickadees and Carolina Wrens! ), we were back at the Charlotte Airport. No big deal, things happen, and of course, we would rather the gouged tire be found before lift-off! Unfortunately, things took a turn for the much-worse when our flight to Portland was cancelled a half hour before boarding due to the strengthening Nor’easter. The woman I talked to on the phone at American definitely deserves credit for doing her best to try and get us home, but with the next available flight to Portland being 3 1/2 days later, and no flights to any airport much closer in the foreseeable future, we elected to just rent a car and start the drive (expecting that AA would at least help out with the incurred cost, I cannot believe how stubborn, useless, and downright condescending and dismissive they were when we inquired about reimbursement upon our return. After such a miserable journey, being treated so poorly will make us avoid this airline at all costs in the future). It wouldn’t have been a good day in a plane, because it was hard enough to drive! Strong cross-winds all day made for bare-knuckle driving, with our little Ford Focus feeling like it would be lifted right off the road. The swaying tractor trailers were more of a concern, however. We tried to make the best of it, enjoying Black Vultures, counting Red-tailed Hawks, and stopping for dinner at a Waffle House. Seven hours later, we made almost made it half of the way home when we pulled into a motel in Hershey, PA (we took the interior route to avoid the megapolis on a Friday during a storm!). With fierce winds continuing, little sleep would be had in our shaking and rattling motel, adding to the dread of the next morning’s trip. What should have been a 7.5 hour drive turned into over 10 hours thanks to traffic in New York, and of course, Connecticut. 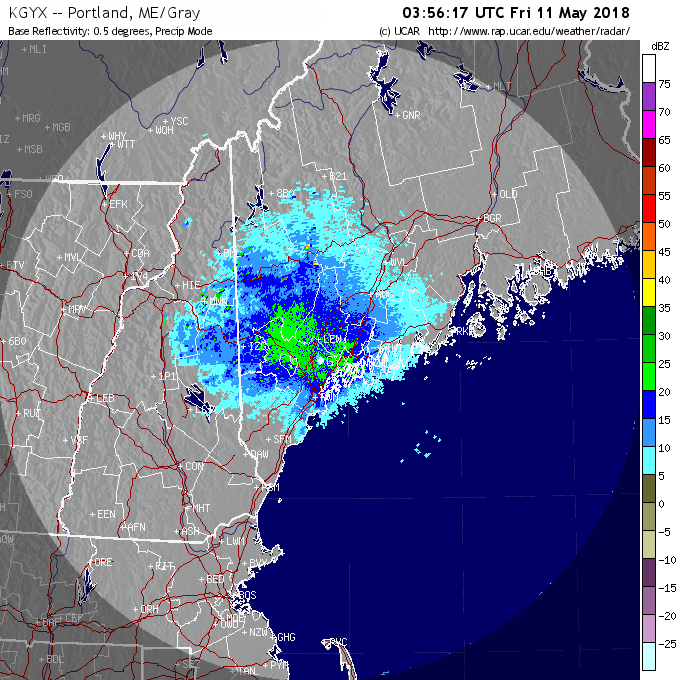 But in the last light at dusk upon our return to Maine, our first Maine Red-winged Blackbirds and Common Grackles were spotted from the highway. But we were home, albeit three days late. 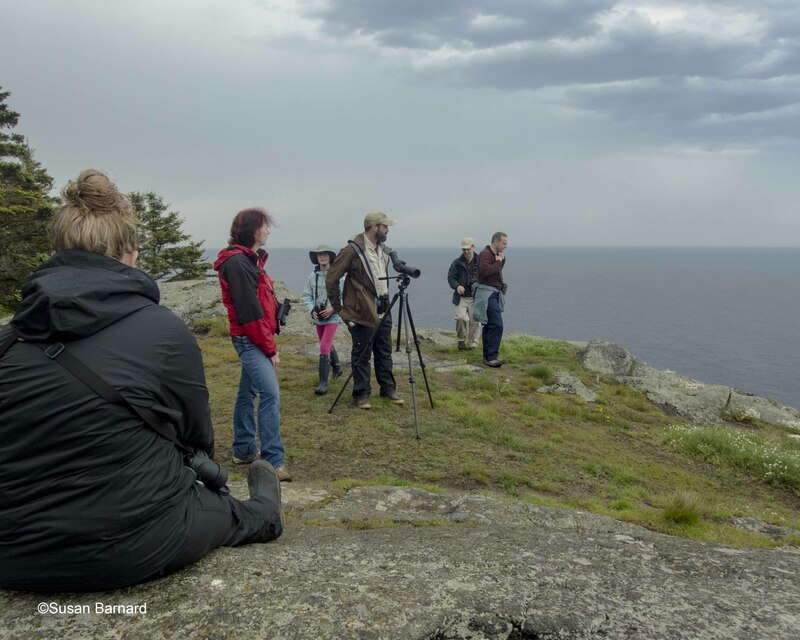 Luckily Bonnie and Sam were available to hold down the fort, and John stepped in to lead a birdwalk. 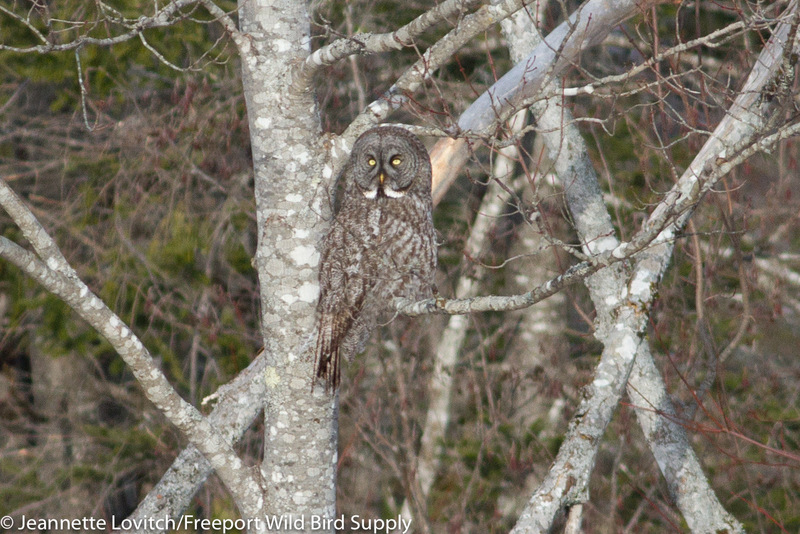 And, I was back in time for our Birds on Tap – Roadtrip the following day. At the very least, our drive gave us time to reflect on the trip. Lots of time to reflect. We discussed the seemingly short-sighted, rampant development, and especially the filling in of mangrove forests – the first line of defense against rising seas and increasingly-frequent strong storms. 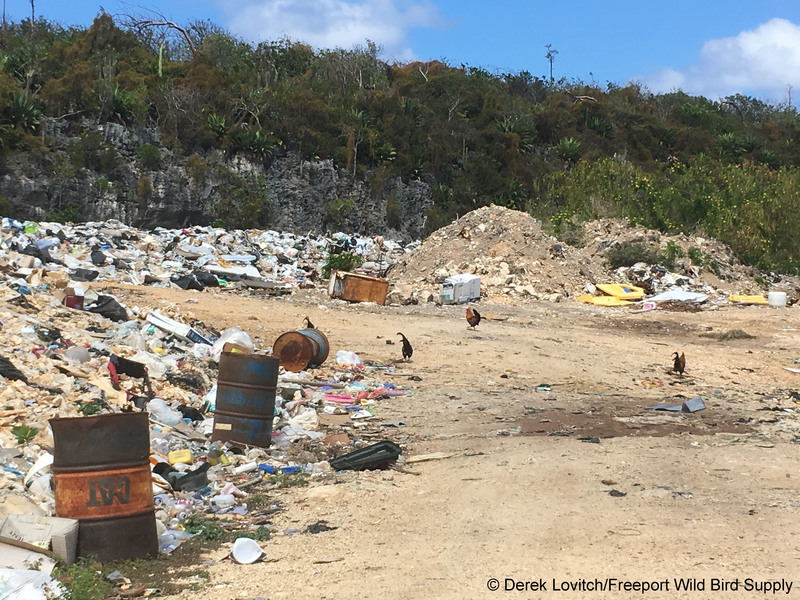 But we also were optimistic of the fact that the islands were wealthy enough to put money and effort into conservation – such as the culling of lionfish, or hopefully, the protection of endemic species. 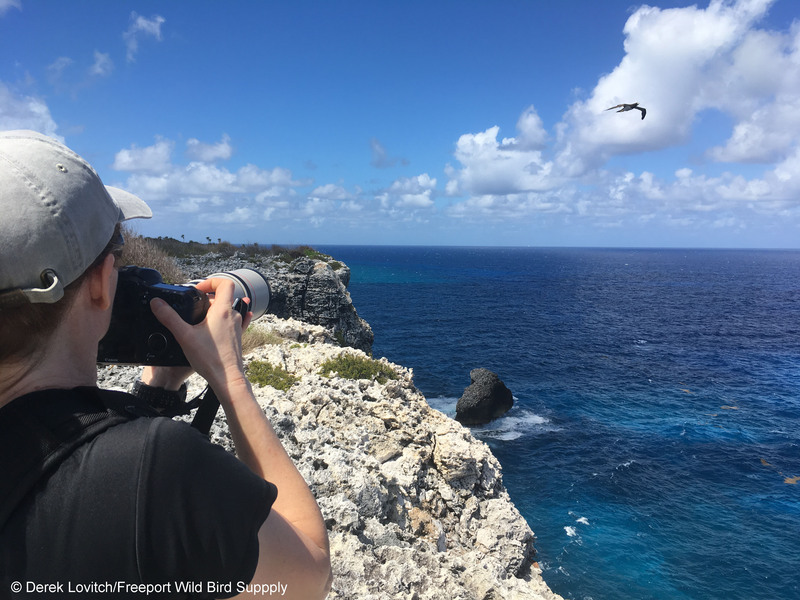 While a nearly-invisibly small percentage of Cayman Islands visitors will ever lift binoculars, hopefully we did our incredibly small part in showing the value of ecotourism, even to well-developed islands such as Grand Cayman. 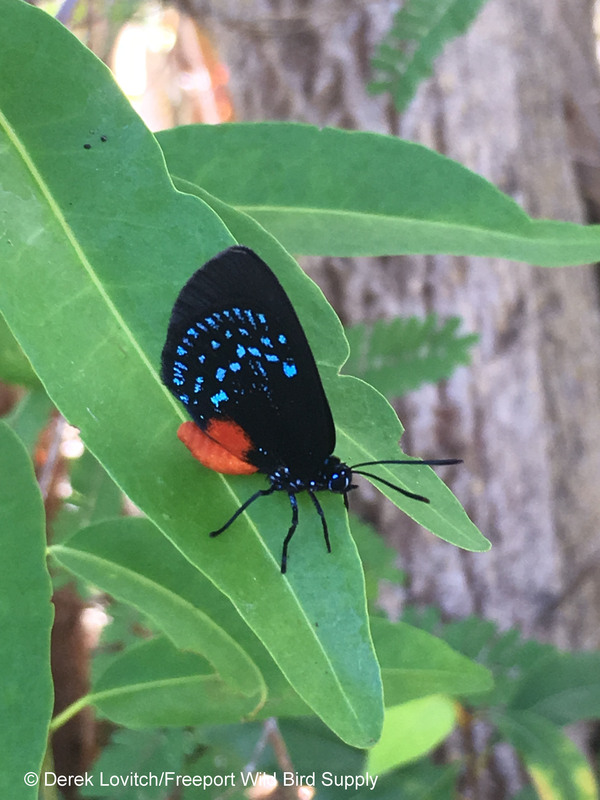 And despite American Airline’s best efforts, we still had a great trip to the Cayman Islands (but yeah, despite our attempts at finding silver linings, that trip home was horrific), and thoroughly enjoyed its birds. 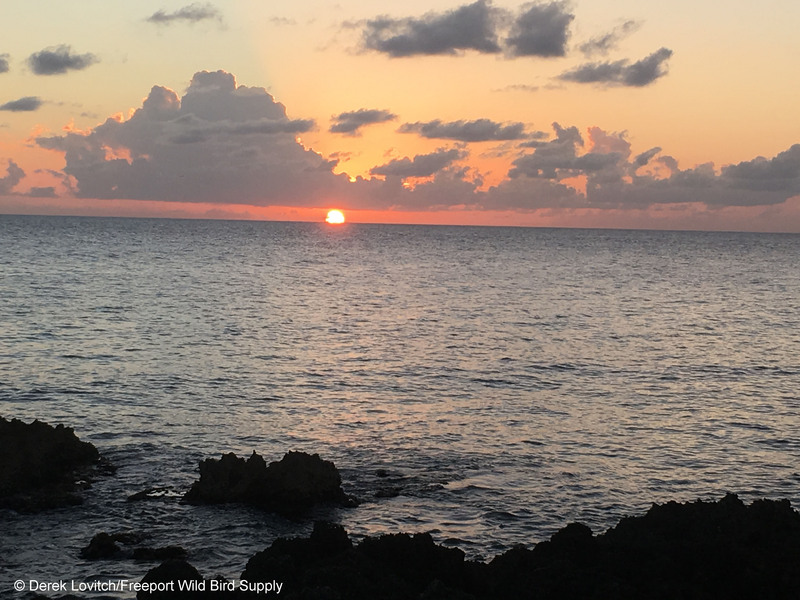 Like all of the islands we visit, local food and culture comes a close second, and the overall speciation of remote islands never ceases to amaze. 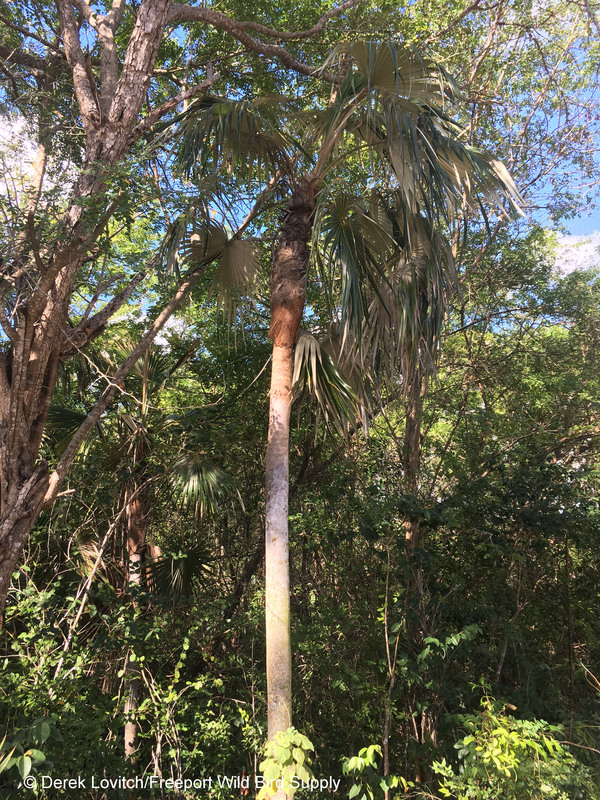 …to endemic Silver Thatch Palms, the National Tree. 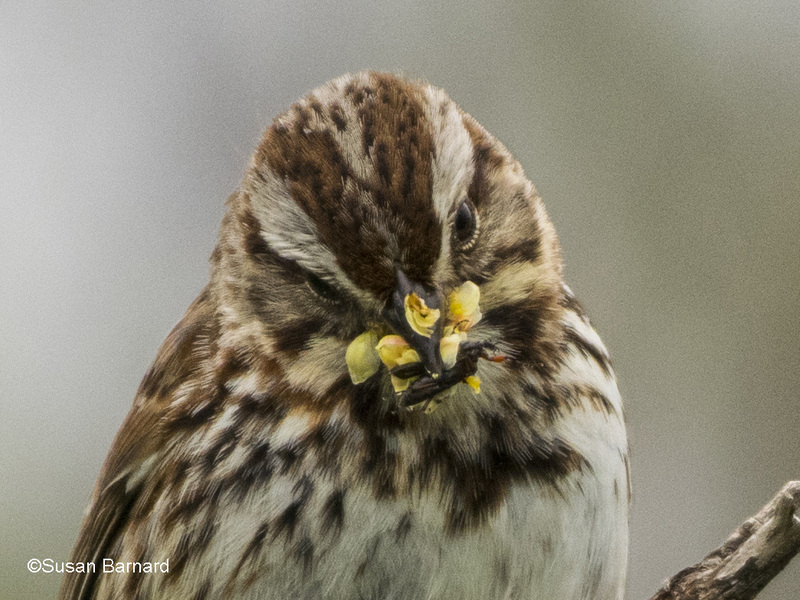 And of course, the birds. 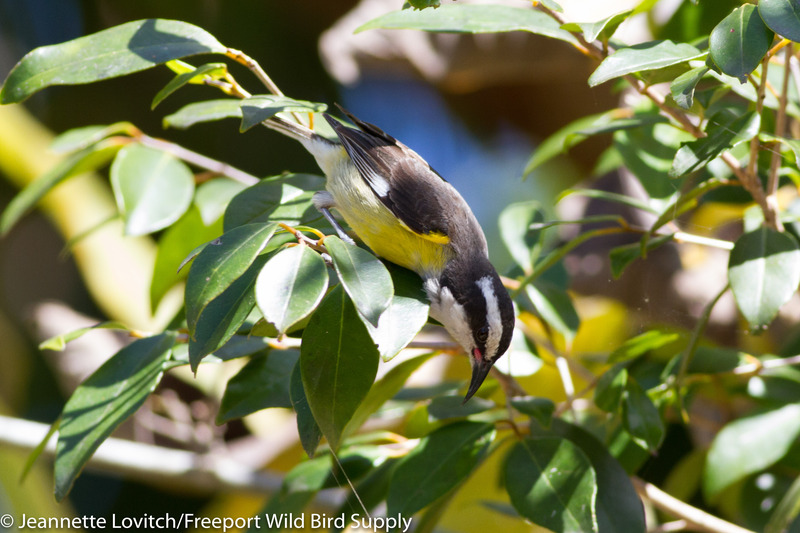 And finally, here’s two more photos of a Bananaquits. 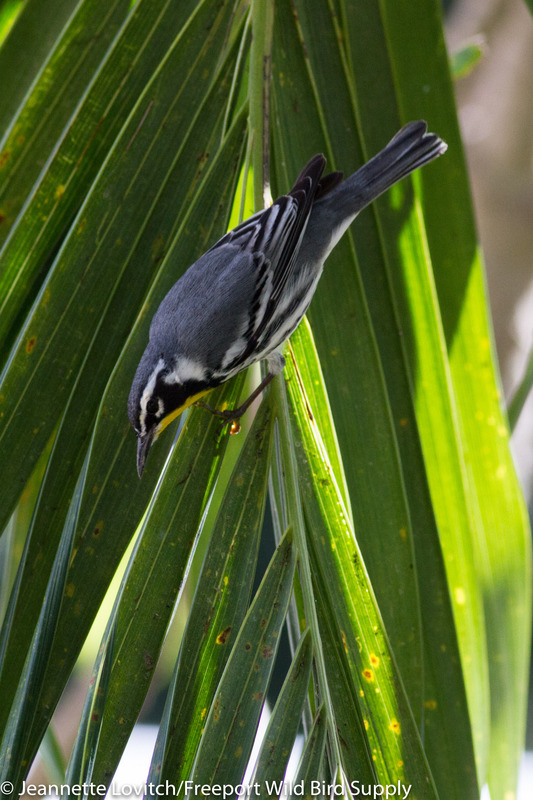 Because Bananaquits! This entry was posted in Uncategorized on March 14, 2018 by Derek.